Masters athletes can now sign up for the SARS Masters summer camp at Mount Hood. We only have spots for 30 athletes at this year’s Mount Hood summer camp from June 16-21. Register today to make sure your athlete gets the on-snow experience and training they need to excel next season! Great job to all of the YSL and STARS kids that competed in the 2019 Tammy Powell Memorial Home Series Final. It was a terrific way to cap off a great season of competitions, training, and skill development. Some great photos of the event were taken by Smiley’s Mountain Photo. Here is a link for your viewing pleasure. Home Series #3 photos. We had another awesome home series race last weekend under blue skies (albeit with freezing wind to keep our racers on their toes!) Some exciting slalom runs for all ages led to some really close podiums at all levels! All the results can be viewed here. We have one more home series race remaining, and can still use a few volunteers! To sign up, head over to the race page and check out the volunteer matrix to see which positions are still open, then complete a volunteer inquiry form to let us know where you can help! Parents, friends, and families of SARS athletes! 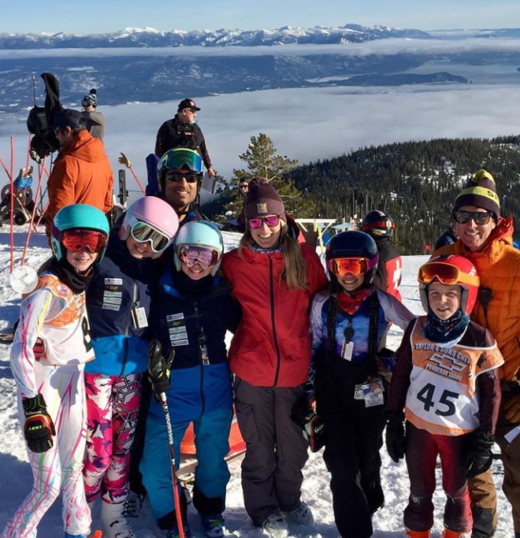 We still need a handful of volunteers for the upcoming U14 PNSA qualifier races at Schweitzer from Friday – Sunday, February 22-24. On Friday: Timing shack, MacGuyver, Scoreboard / Bibs, Speed gun, Dye Guy, and seven spots on the Course Crew. On Saturday: Start ref, Starter, Finish ref, Dye guy, Chief of timing and calc, MacGuyver, Speed gun, and four spots on the Course Crew. On Sunday: Finish ref, Dye guy, Chief of timing and calc, MacGuyver, Scoreboard / bibs, Shack to scoreboard, and eight spots on the Course Crew. That’s 37 spots we need to fill to make this race a success! If you still have volunteer days remaining of your family commitment, please consider signing up for one of these spots. If you’ve fulfilled your volunteer commitment, remember, you get vouchers for $10 lift tickets to share with family or friends visiting from out of town (not to mention a free lunch and a slice of pizza and beer from Powderhound!) for every day you volunteer from here on out. Head to the race page and complete the volunteer inquiry form to sign up! For questions about volunteering for this race or any other SARS event, contact the volunteer coordinator at volunter@sars.net. 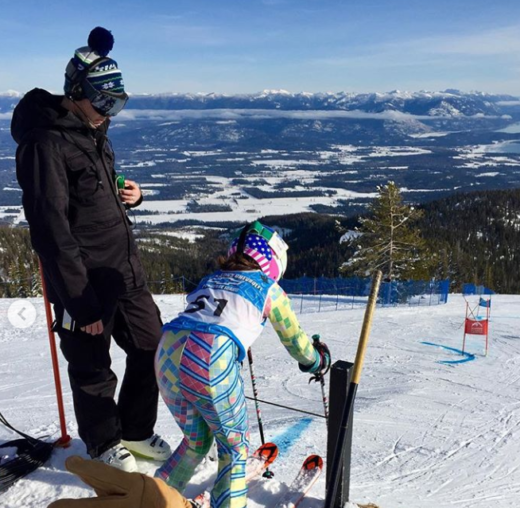 Last week over one hundred 16-20 year old racers converged on Schweitzer Mountain from ski clubs all over the west for the Eigenvector Research Western Regional Speed Series races. Two days of downhill training under cold, blue skies set the athletes up for some adrenaline filled, 70+ mile per hour race runs on Thursday, which saw athletes complete two downhill runs each on the Cathedral Aisle / Zip Down venue. Friday was a reset day as the SARS coaches shortened the track in preparation for the weekend’s Super G event. 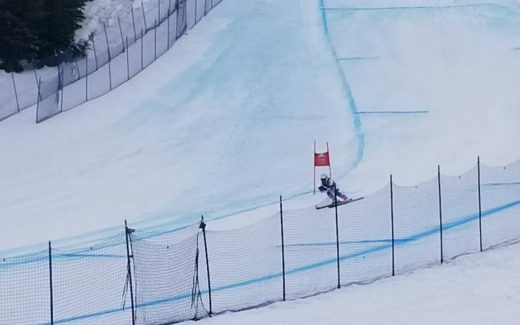 Saturday’s warmer temps and early morning rain meant the Super G had to be postponed, but on Sunday the temperatures dropped, the track sped up, and over 200 race runs later the series was a wrap. Kevin Wyman, U10 SARS parent, who stood for four days in the downhill finish as our finish referee. Joy Snow, who showed up every morning for six days before 6 am at the Lake View Lodge to lead our timing team as the chief of timing and calc. Bob and Jim Landwehr, Keith Grzelak, and Curt Hammond, who volunteered over all six days of the race for Course Crew. Carlos Suarez and Bernie Nova, who performed like true professionals in the important role of Starter. Bill Brooks and Chris Thompson, who if it weren’t for their lack of mullets, would have been indistinguishable from MacGuyver himself. Our volunteer chief of course Steve Smith and race administrator Roger Root, without whose experience and expertise events like this simply could not run. And of course all the volunteers would like to thank those who made our excellent lunches, Judy Thompson, Heidi Sharp, Danielle Quade, and Stephanie Schmitt. Thanks for keeping everyone nourished and energized! The next opportunity to volunteer is just three weeks away, as the U14 PNSA Qualifiers take over the Zip Down track for three days from February 22nd – 24th. You can learn about volunteering for that event here. Last chance to buy SARS Dinner Auction tickets! The annual SARS dinner auction is just four weeks away! There are only about 30 tickets left and the 8-person table packages are already sold out. Be sure to get your tickets ASAP before it’s sold out! We’ve got some amazing silent and live auction items to look forward to this year, which you’ll hear more about soon! Silent auction items are still needed. 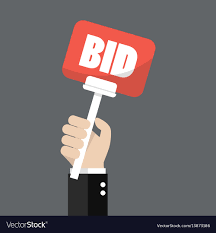 If you are interested in procuring a gift basket, an experience, or a product that you think SARS families would enjoy bidding on, please let us know about it here. The auction also offers a chance to get one of your non-race volunteer days ticked off, and we need lots of volunteers to make it a success! You can sign up to volunteer on the day of the auction (March 2nd) here. For any questions about the event, please contact the SARS administrator at Jason@sars.net. What a weekend on the mountain! After two spectacular weather days filled with action on Loophole run we’ve got the results in! Congratulations to the athletes whose training and dedication paid off with lots of great results at all levels! 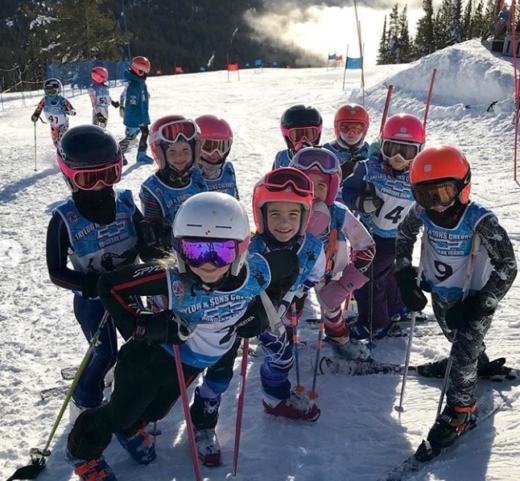 Congratulations to all the athletes who competed in Monday’s races, especially to those brave kiddos for whom it was their first ever ski race! There were lots of impressive results, but more importantly a ton of smiling faces! Keep working hard, everyone, and see if you can develop those skills and improve on your time in the next Home Series Race! A big thanks to all the parents and friends who volunteered for Monday’s races, too! Without your help these events would not be possible! More volunteers are needed for our upcoming EEYSL Chad Engstrom Memorial Races on January 12th and 13th. Visit the race page for more information about the event and to see what volunteer opportunities are available. Check out new team apparel for all ages in the Shop tab above. Just in time for the holidays! Learn more.